Las Vegas drivers looking to purchase a new vehicle have two different options: trading in their current vehicle at the dealership for credit towards your next purchase, or selling their vehicle privately. While the exact math depends on each individual deal, you’re more likely to get a higher sticker price when selling privately. However, that sticker price doesn’t factor in the additional taxes you’ll pay when selling privately versus trading in. Let’s take a closer look at the differences between these two methods to see which one is ideal for you. Trading in your current car at a Pahrump area dealership can deliver huge tax benefits. You’ll typically only pay sales tax on the difference between your trade-in vehicle and the new purchase. Additionally, since you’re conducting both transactions at the same location, you’ll enjoy the convenience of a one-stop shop. To help you better understand your payments after accounting for the value of your trade-in vehicle, we’ve created this helpful payment calculator. There may be instances when selling your car on the private market makes more sense. In general, if you have no sales tax in your area, then that eliminates the tax advantages of trading in. Additionally, if you have a lightly-used vehicle, you may make more money when selling to a private buyer. However, you’ll have to deal with the added stress of tire kickers and low offers you would never have considered. One avenue that many vehicle owners take when it comes to selling their current cars on the private market is Craigslist. While you might believe that Craigslist offers a great opportunity to sell your vehicle at a fair price, the opposite is often the case. That’s because Craigslist buyers in the Mesquite and across the country tend to low-ball and nickel-and-dime. A dealership has a vested interest in the transaction and can offer additional benefits, including trade-in capabilities and the many sales tax benefits that go along with it. 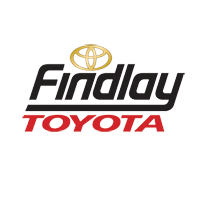 Learn more about the financing options available at Findlay Toyota.